The safety of the people shall be the highest law of the land. The judiciary is the pillar for justice as it not only provides redressal mechanisms, but it also punishes the offender. 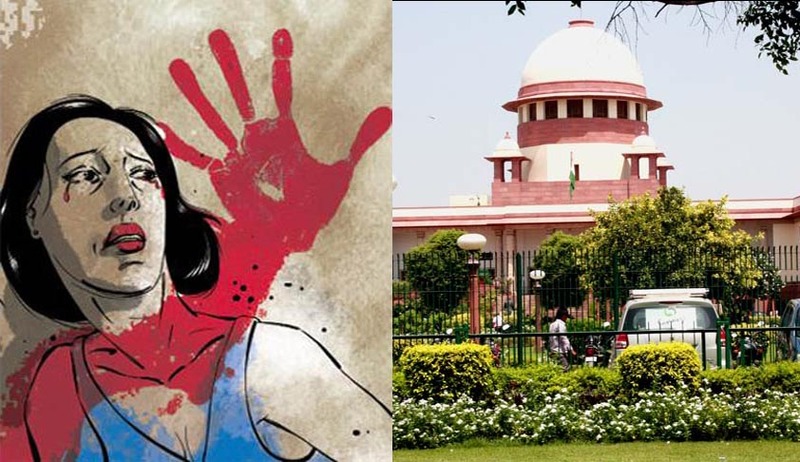 The law on sexual harassment has mushroomed and nurtured after the 1997 landmark decision of the Supreme Court in the Vishaka v State of Rajasthan. However societal attitudes towards sexual harassment has impeded any effective implementation of the law. Any other unwelcome, verbal or non-verbal conduct which is of a sexual nature. Sexual Harassment is a form of sexual discrimination projected through unwelcome sexual advances, or sexual favours or acts with sexual overtones. Sexual Harassment interferes with the work performance of a female employee and creates an intimidating and hostile environment for her to work in. The definition of sexual harassment, similar to the one in the Vishaka case, was also quoted in the case of D.S. Grewal v Vimmi Joshi & Ors in 2008. Vimmi Joshi was the principal of an Army Public school. The person who the case was filed against, Brig. D.S. Grewal, was the Chairman of the School Managing Committee and Col. Hitendra Bahadur, was the Vice Chairman. Vimmi Joshi was subjected to sexual advances, as well as a letter by Hitendra Bahadur. She had complained to the Chairman, D.S. Grewal about the advances made by Hitendra Bahadur since this created an environment at the workplace which would possibly become hostile, as it would directly affect her chances of recruitment or promotion. Incidentally, her complaint against Hitendra resulted in her services to be terminated and D.S. Grewal did not take notice of her complaint. This case is very important as it gives an example of an instance of sexual harassment at workplace and the consequent results of retaliating against the same. Despite having taken cognizance of Sexual Harassment to protect the rights of women, on a practical level, there is a failure with respect to its implementation. Finally, the Court directed the High Court to appoint a three-member committee headed by a lady to look into the complaint. The Court also imposed cost on the Management of the school, to pay and bear all the cost of the victim as a punishment for not constituting a committee and taking cognizance of the complaint. The Supreme Court played a greater impact through the Medha Kotwal Lele v Union of India judgement where directions were given to all State and Union territories to amend their respective Civil Service Conduct Rules to specifically include sexual harassment at the workplace. The main objective and purpose behind this direction was to implement the Vishaka Guidelines mandate in soul and spirit. As an effect of this judgement, the Central Civil Service (Conduct) Rules, 1964 were amended in 2014 to include the prohibition of sexual harassment. The content of this addition is similar to the definition of sexual harassment in the Sexual Harassment at Workplace Act [SHWP], 2013 (inspired from the Vishaka case), which also highlighted the instances for sexually determined and unwelcome behaviour. The role that the Vishaka case played in bringing up the SHWP Act, was astounding as before 1997, there was no domestic legislation addressing the same. In 2013, the SHWP Act came into force along with Section 354D of the Indian Penal Code, 1860 which came into the picture after the 2013 Criminal Law Amendments, which set the ground for prevention of both implicit or explicit sexual acts which were unwelcome. Must be of a sexual nature. Must be unwelcome by the recipient. Most cases of sexual harassment occur in a hierarchical situation as the person in power is the one who has the leverage to carry out harassment. This can be seen in the matter of the motion for removal of Justice S.K. Gangele of the High Court of Madhya Pradesh for an act of sexual harassment against a woman Additional District and Sessions Judge of the Gwalior Bench. This discussion on the charges against him happened in the Report of the inquiry committee constituted under the Judges Inquiry Act, 1968 in 2015. Despite charges of sexual harassment, victimization for not submitting to immoral demands and misuse of position to transfer her from Gwalior to Sidhi, all the charges were dropped and held to be not proved. There are severe problems in the system while implementing protection procedures on a grassroot level. The systemic pattern can be seen through a variety of case laws which address the issue of Sexual Harassment at the Workplace. Firstly, the complaint process is still ineffective in nature, as can be seen in the Grewal case where despite the unwelcome behaviour a Complaint Committee was not constituted for the redressal of the complaint made by the victim. Secondly, the risk of retaliation is high if a victim opposes the unwelcome sexual acts as can be seen in the Justice S.K. Gangele incident. Thirdly, there are several obstacles that the victim faces while filing a complaint which may include constituting internal committees, to unfair practices within committees and other incidental problems. It makes available safe and secure environment to women at the workplace. It enables the working women to work with dignity, decency and due respect. The Medha Kotwal case also paved way for victims to approach respective High Courts in case there was non-compliance or non-adherence to the Vishaka Guidelines. An employer must ensure that appropriate safeguards are provided to protect the women from any kind of harassment by constituting Internal Complaint Committees. The employer should fulfill all the duties case upon them to accept complaints from victims. Display at conspicuous places the penal consequences of sexual harassment. Organize workshops and awareness programs to sensitize the employees on SHWP. Provide facilities to the Internal Committees to conduct inquiries and deal with the complaints. Unwelcome conduct is conduct that “must be unwelcome in the sense that the employee did not solicit or incite it, and in the sense that the employee regarded the conduct as undesirable or offensive.” Recently in 2017 in the case of Shanta Kumar Vs. Council of Scientific and Industrial Research (CSIR) and Ors., the Delhi High Court, stated that physical contact alone would not constitute an act of sexual harassment. The Court stated that “Contact should be part of the sexually determined behaviour. Such physical contact must be in the context of a behaviour which is sexually oriented”. The SHWP Act, addresses workspaces such as schools, colleges, hospitals, private residences, agricultural labourers and many others. The advantage of this domestic legislation is that it provides a procedure for redressal. Although the implementation of the same is the main problem of this law, the Supreme Court and High Courts are considering different scenarios of sexual harassment, thus clarifying many aspects like unwelcome behaviour, physical contact, complaint mechanisms etc. We are moving into a future where the concept of sexual harassment at workplace is being looked at as a grave issue and this was the objective of the judgments that spurred from Vishaka. Acts of a sexual nature usually hinder the growth of a woman at a workplace. A positive environment free of any form of hostility is vital and let’s move forward into an age where women are empowered and free of sexual advances or harassment at the workplace.